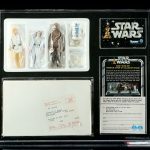 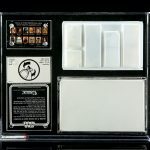 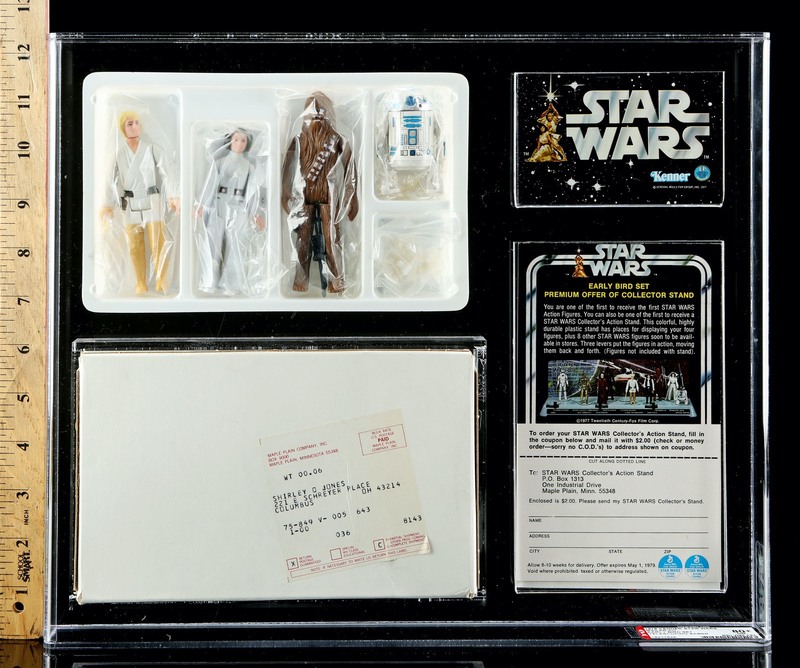 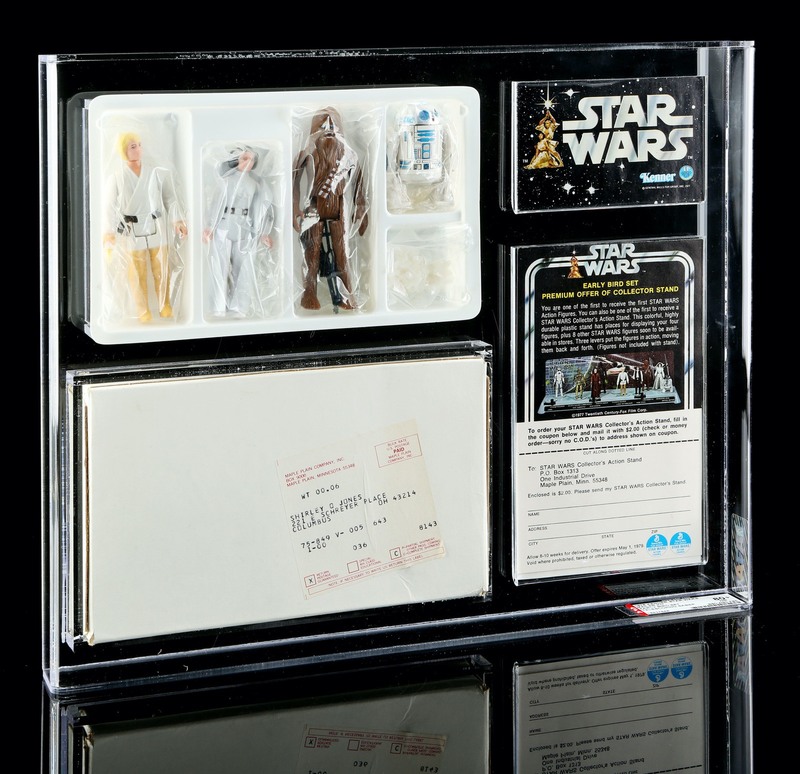 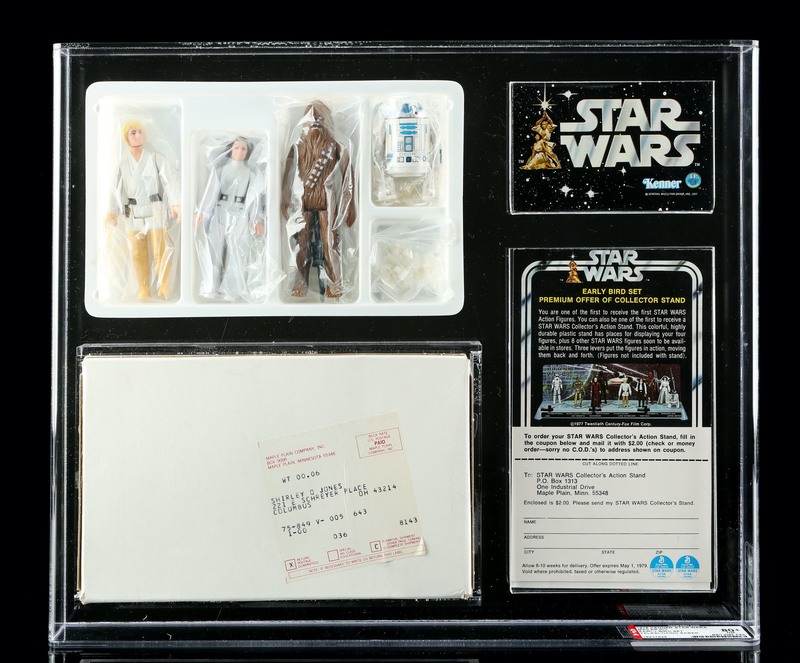 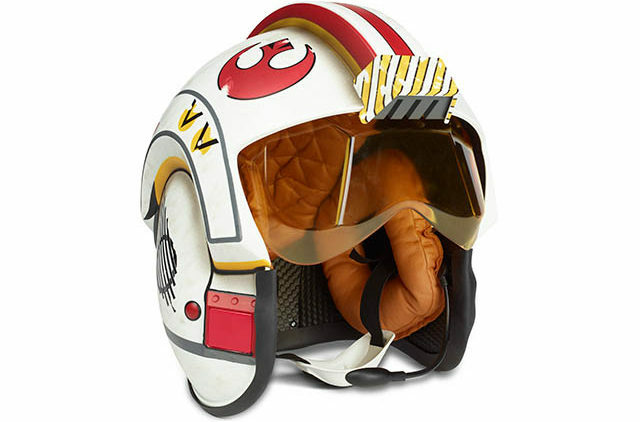 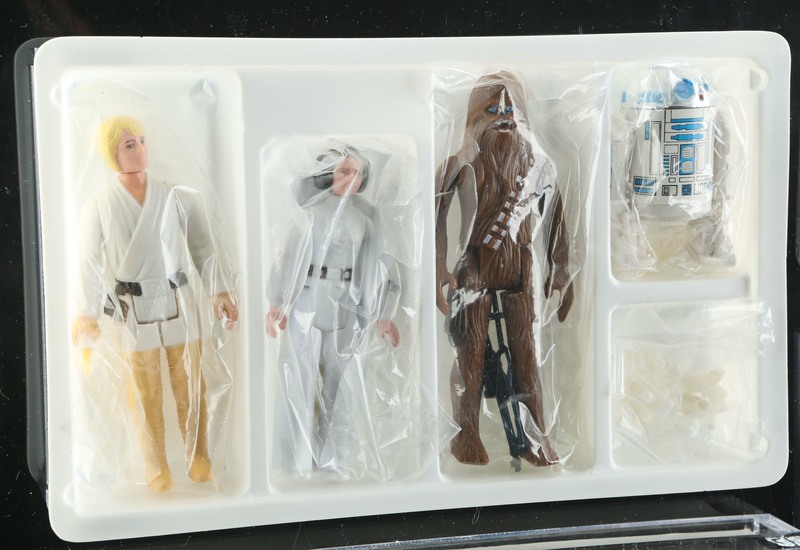 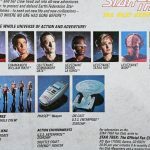 Prop Store has an auction happening right now that is sure to set any toy collector’s heart aflutter. 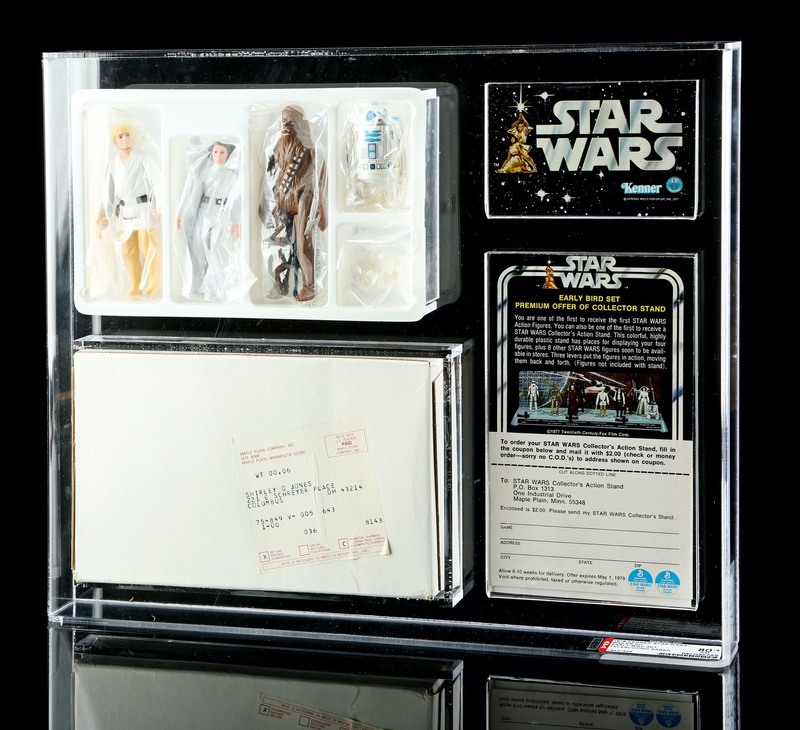 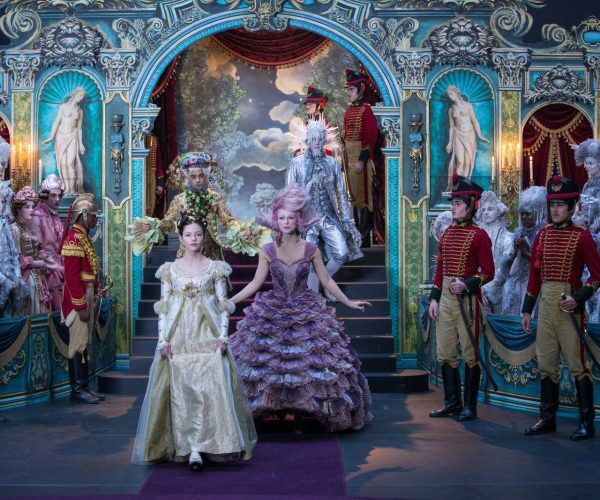 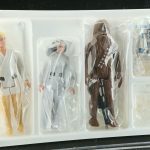 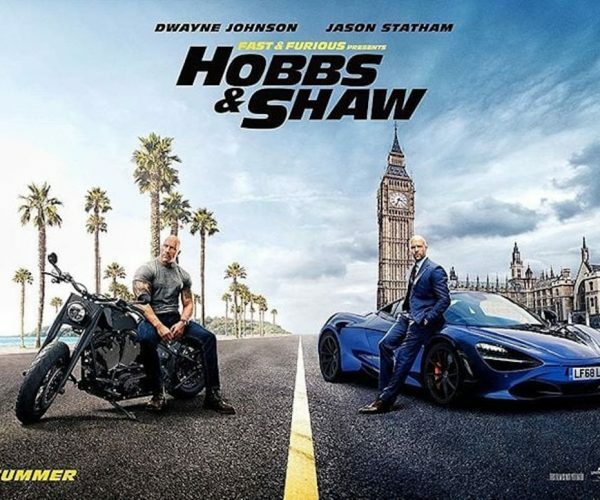 While the Prop Store is best known for its auctions of movie props, it’s expanding its range this time around into some amazing toys. 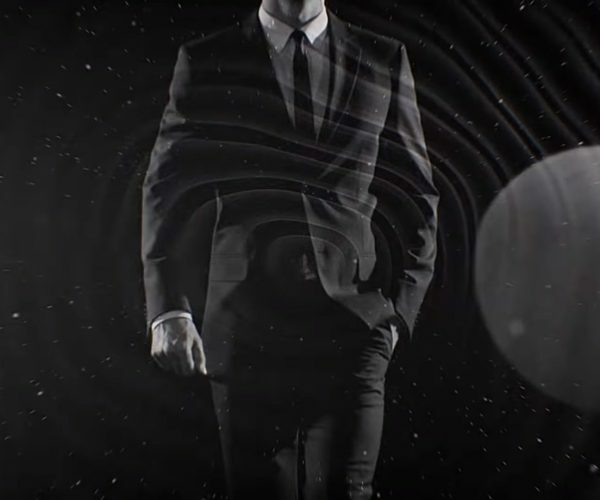 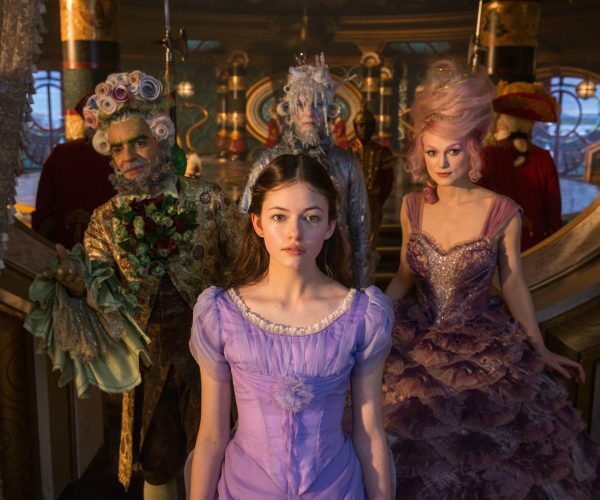 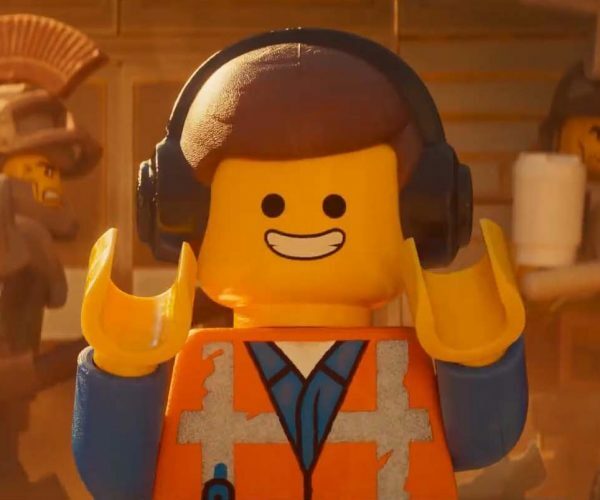 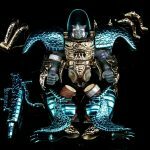 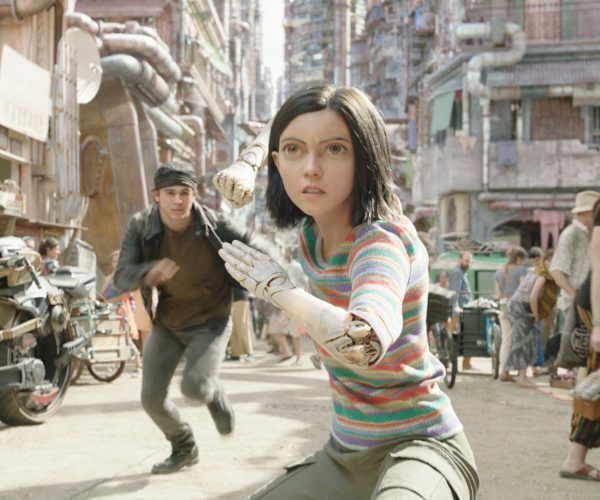 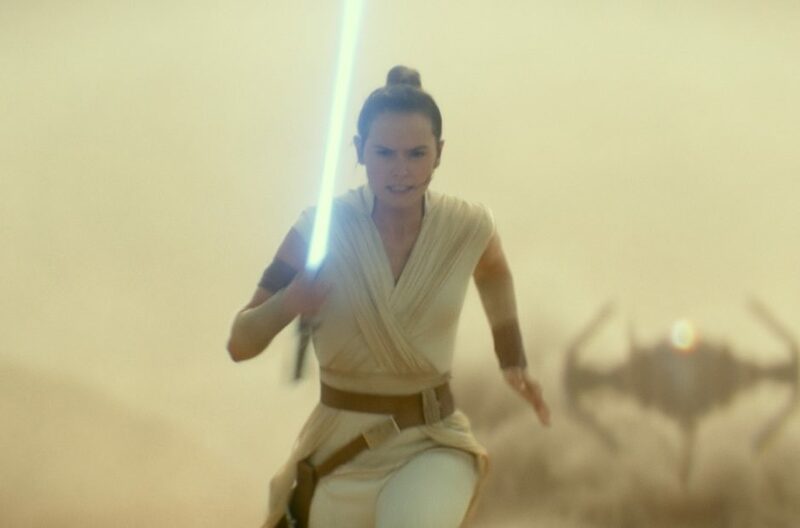 Over a two-day auction running Thursday, February 28 and Friday, March 1, 2019, there will be prototypes of unreleased items, artwork, extremely rare items, and a lot more. 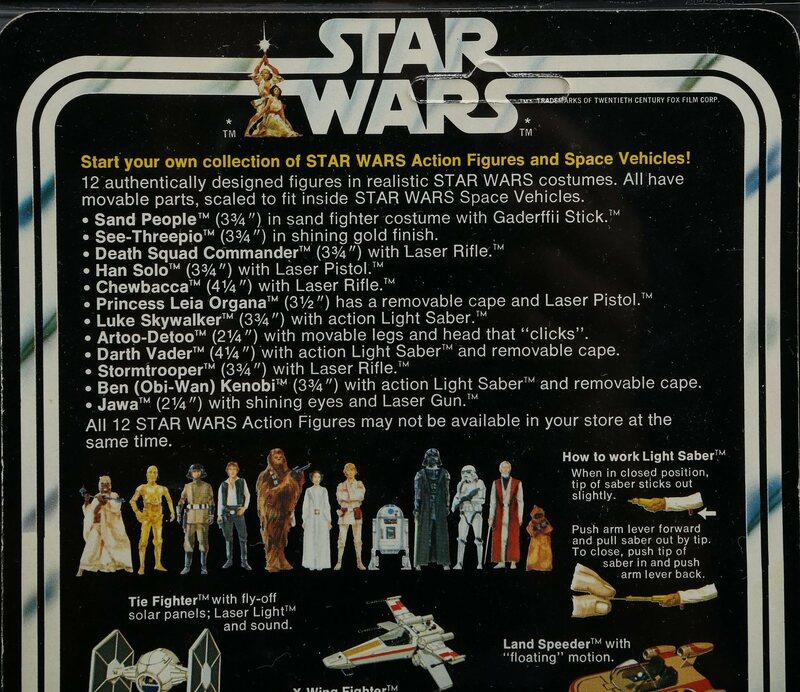 First, here is a sampling of the unreleased items that will be up for auction. 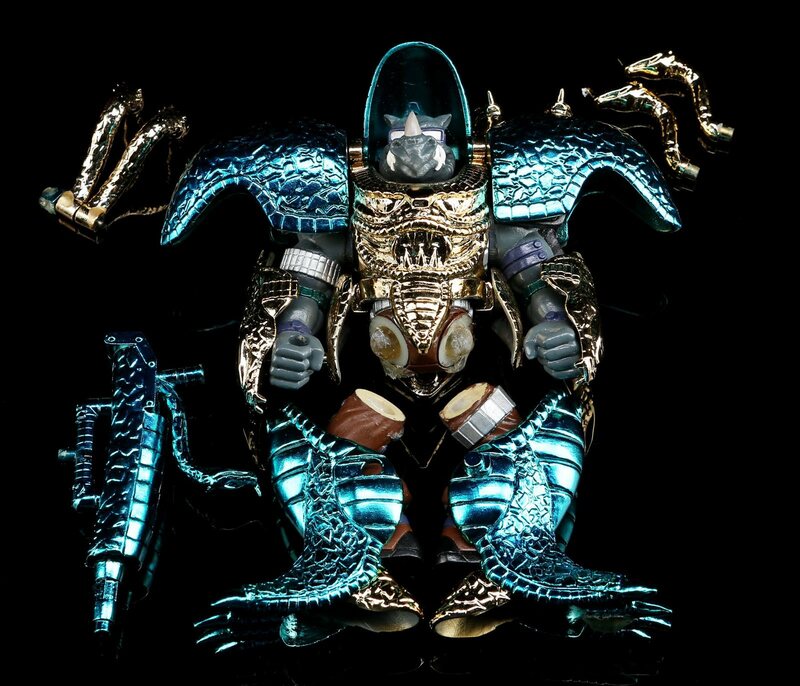 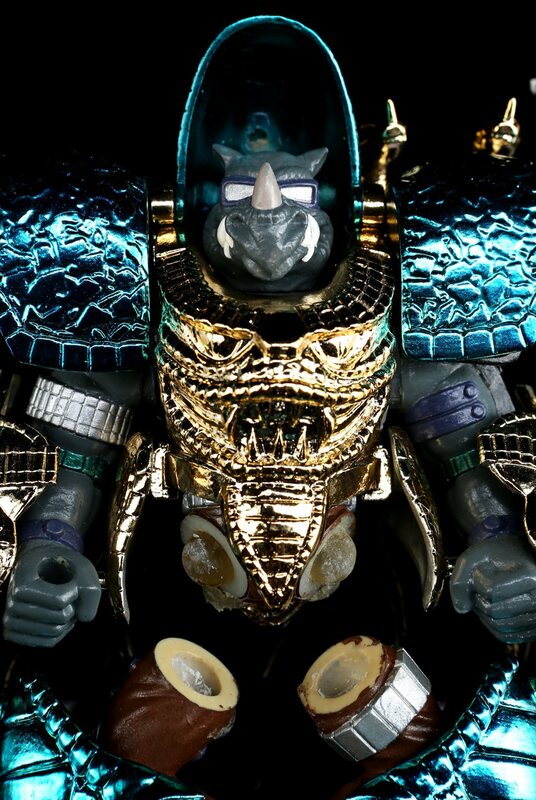 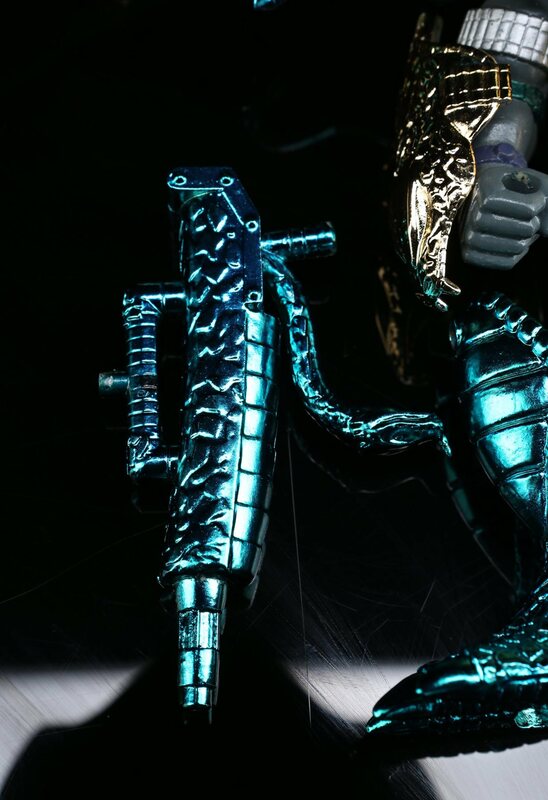 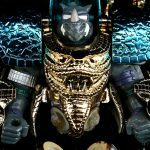 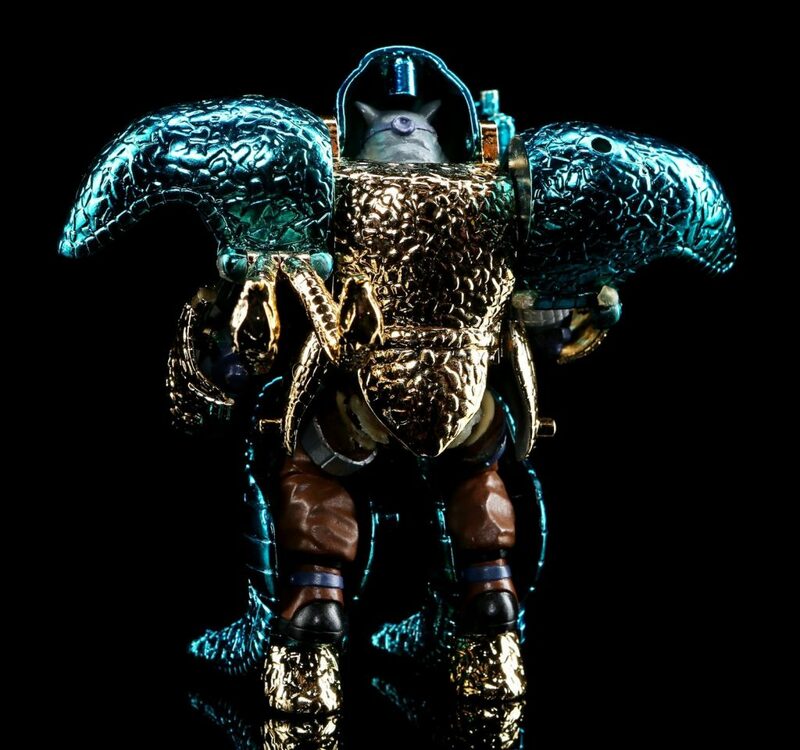 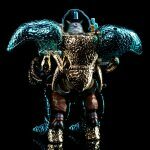 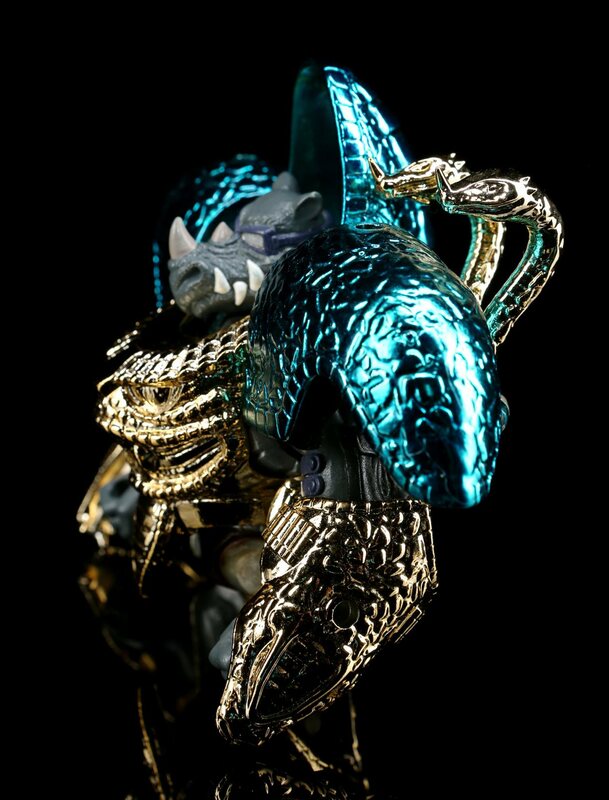 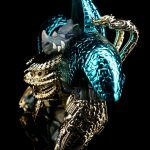 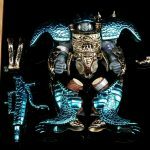 From Playmates Teenage Mutant Ninja Turtles line comes a Metal Mutant Rocksteady prototype. 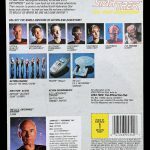 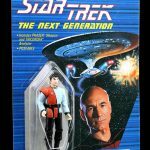 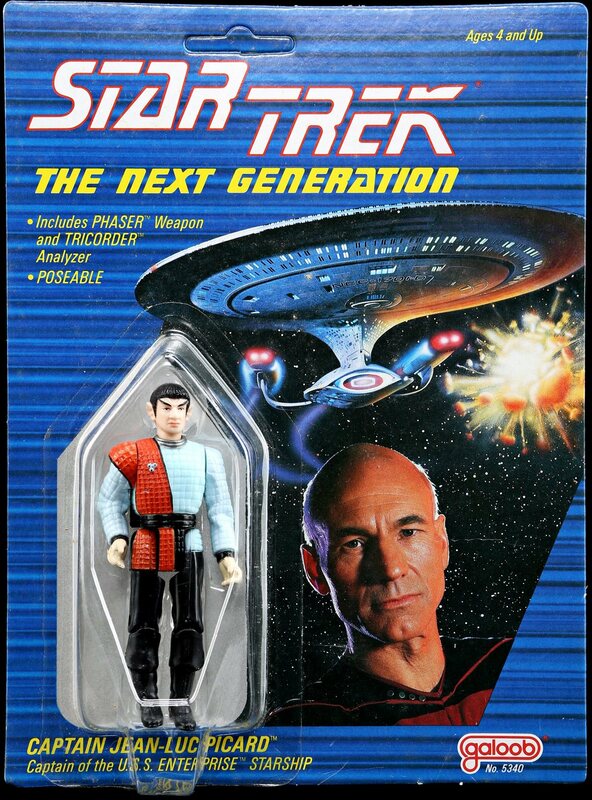 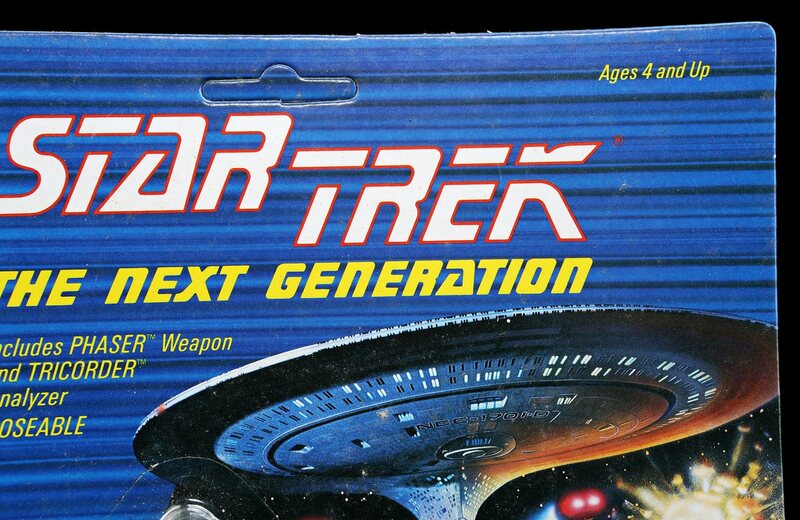 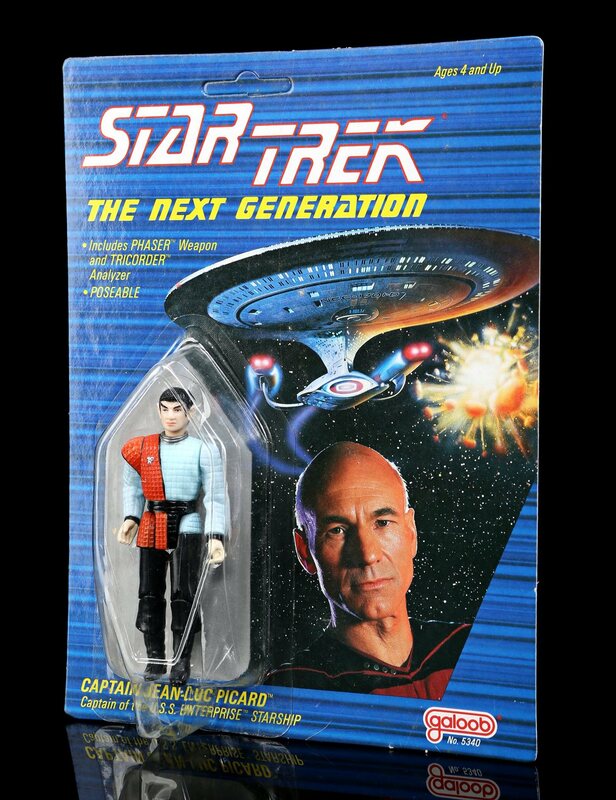 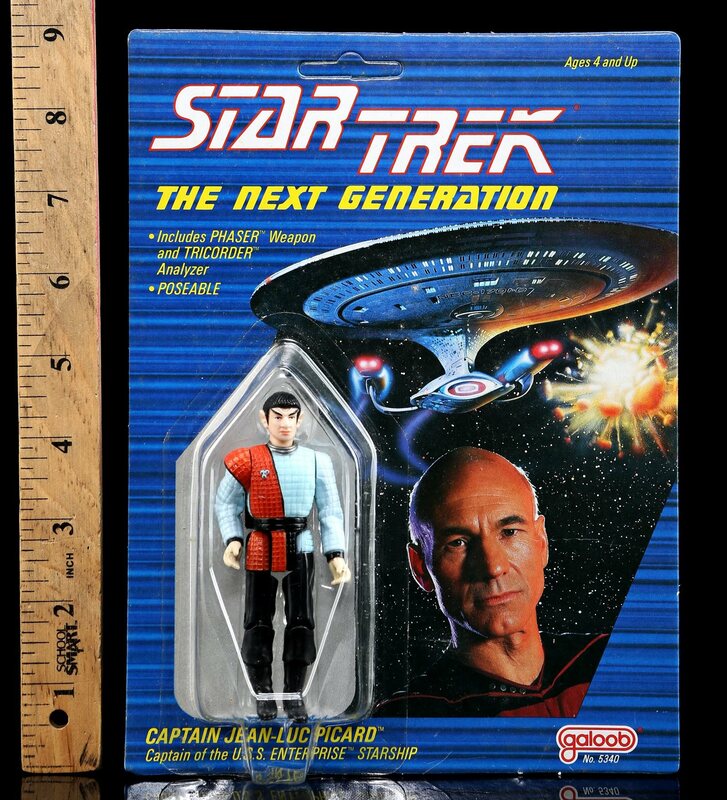 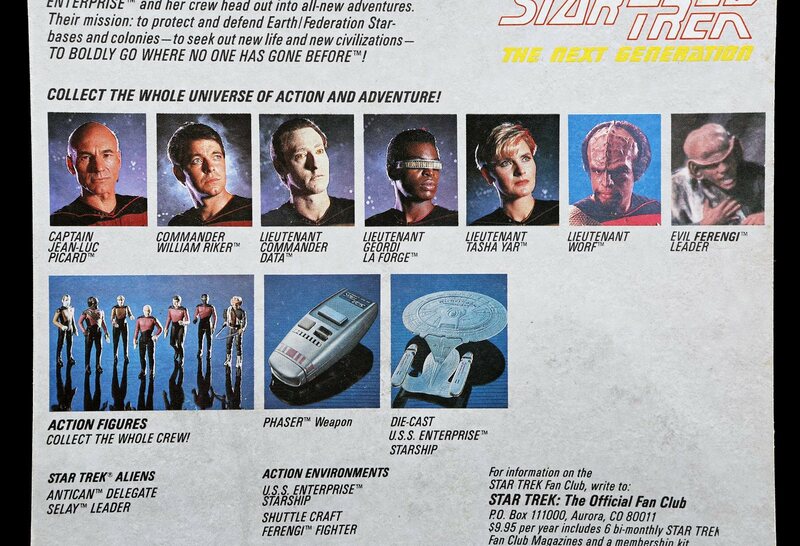 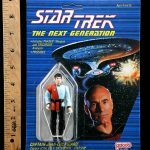 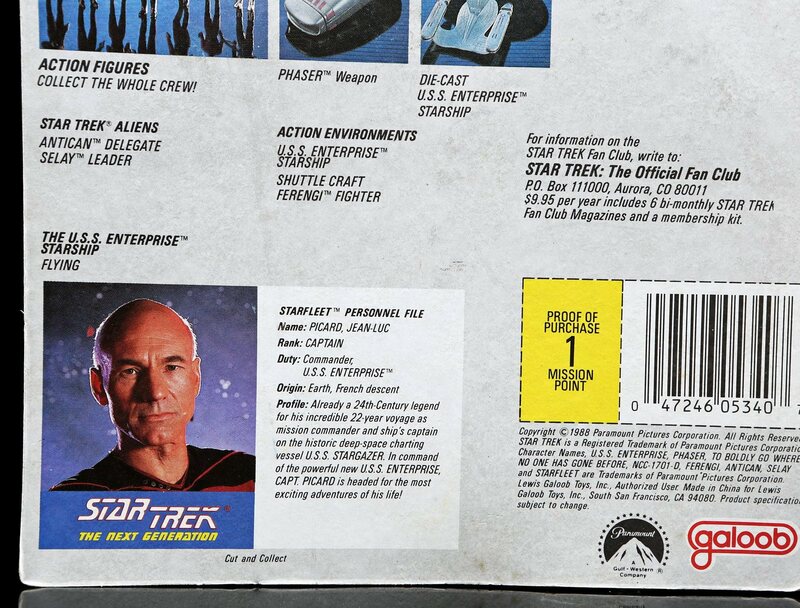 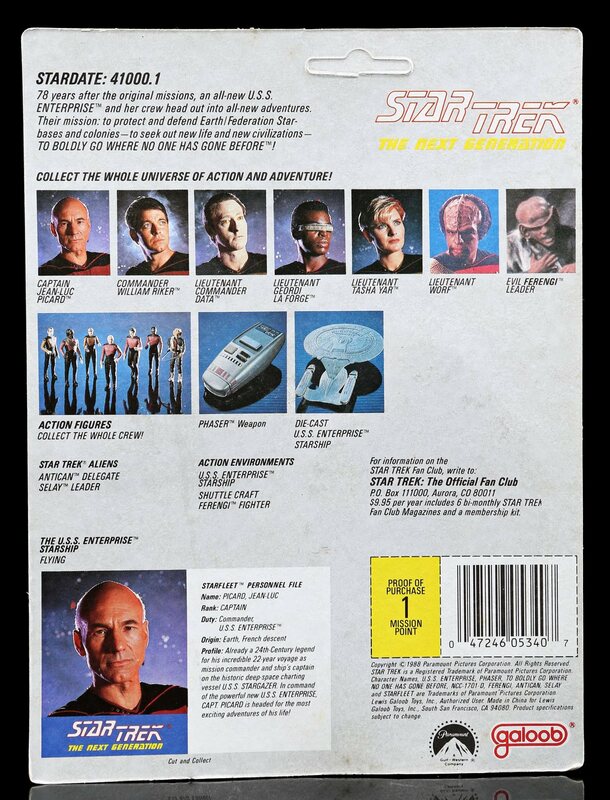 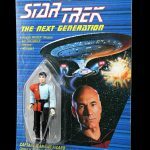 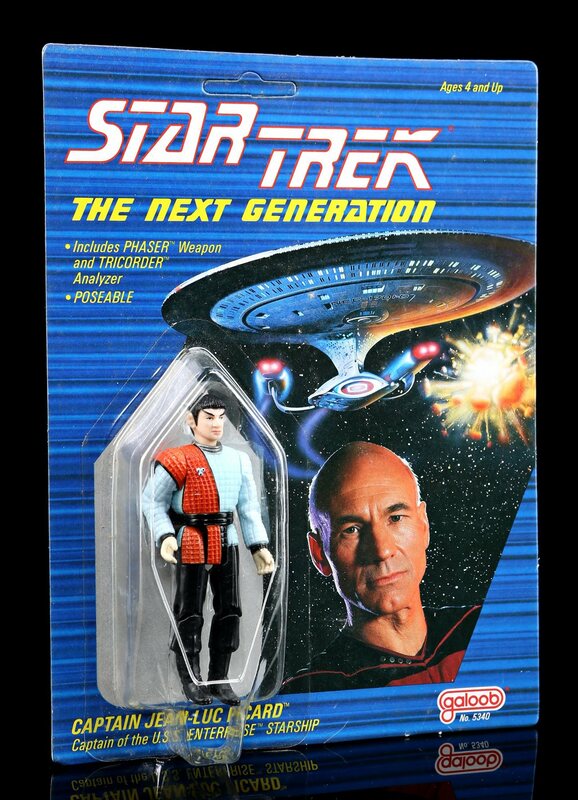 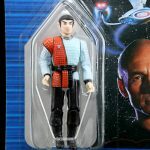 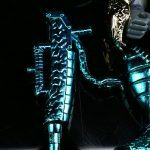 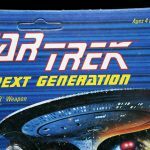 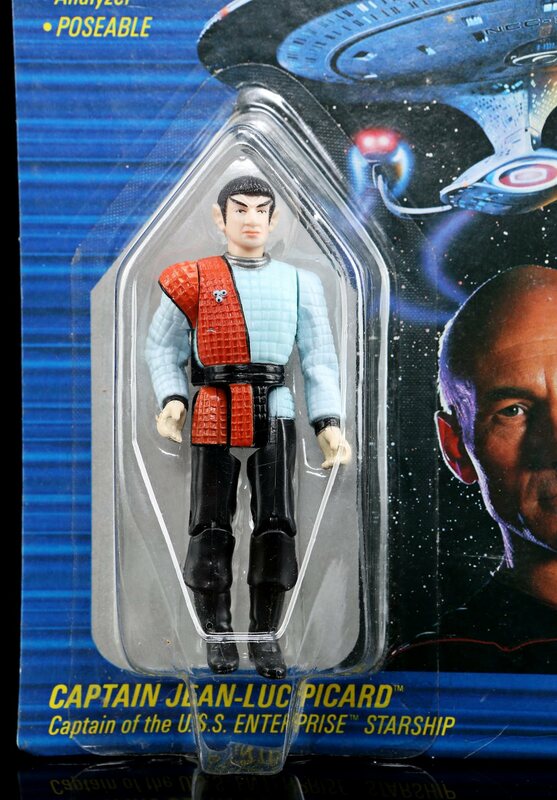 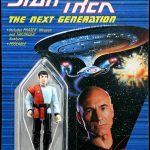 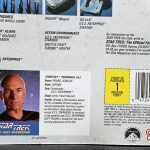 The second figure is an unproduced Romulan figure from Galoob’s Star Trek: The Next Generation toy line. 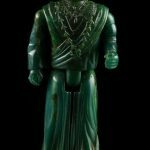 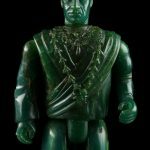 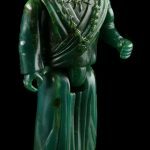 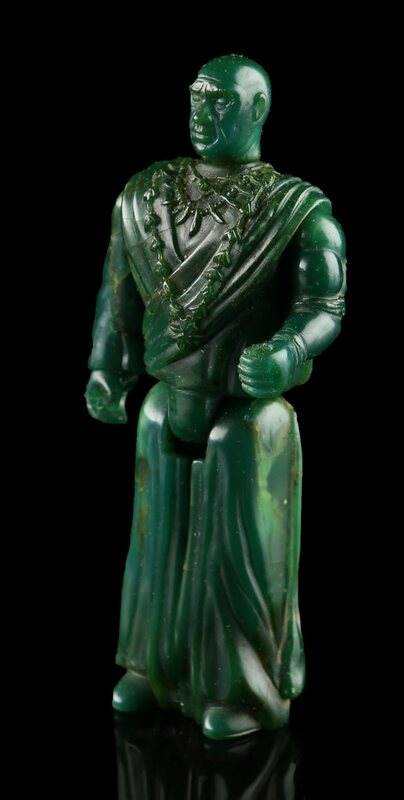 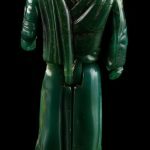 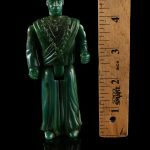 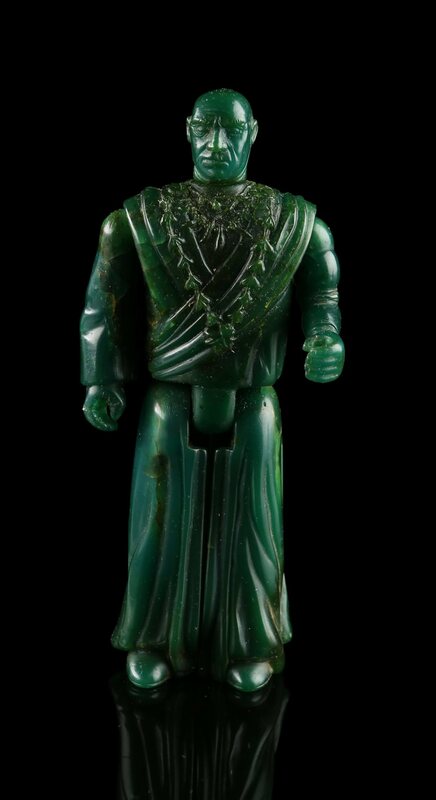 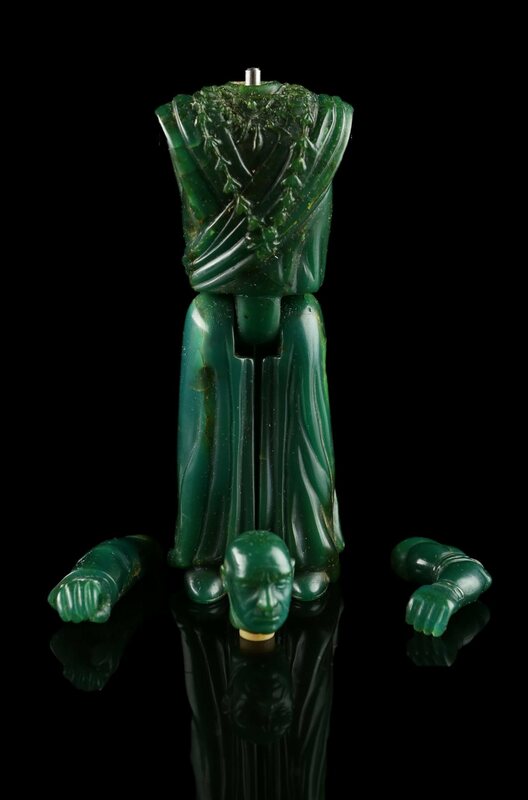 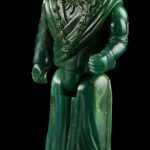 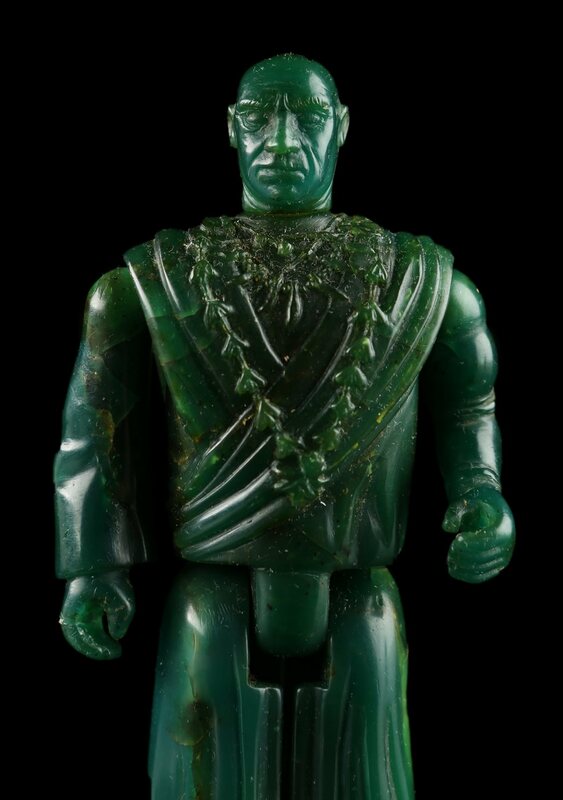 The green wax figure is a sculpture used for the Mola Ram figure from LJN’s Indiana Jones and the Temple of Doom toy line. 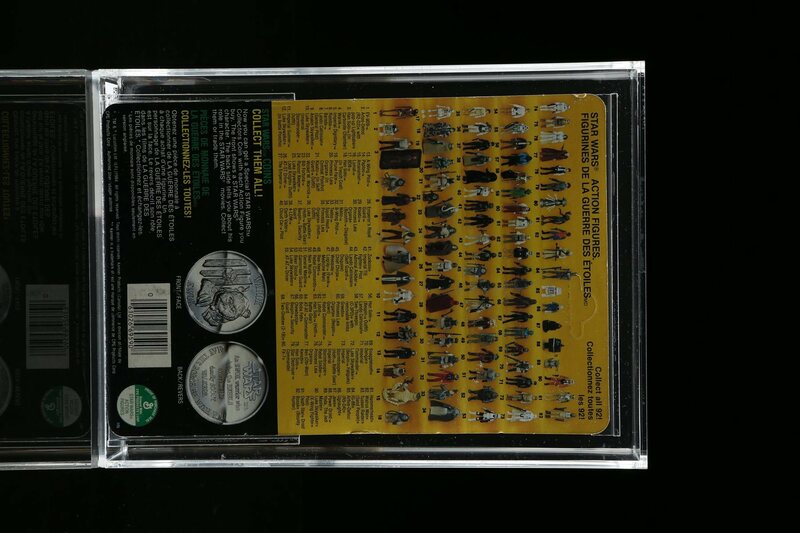 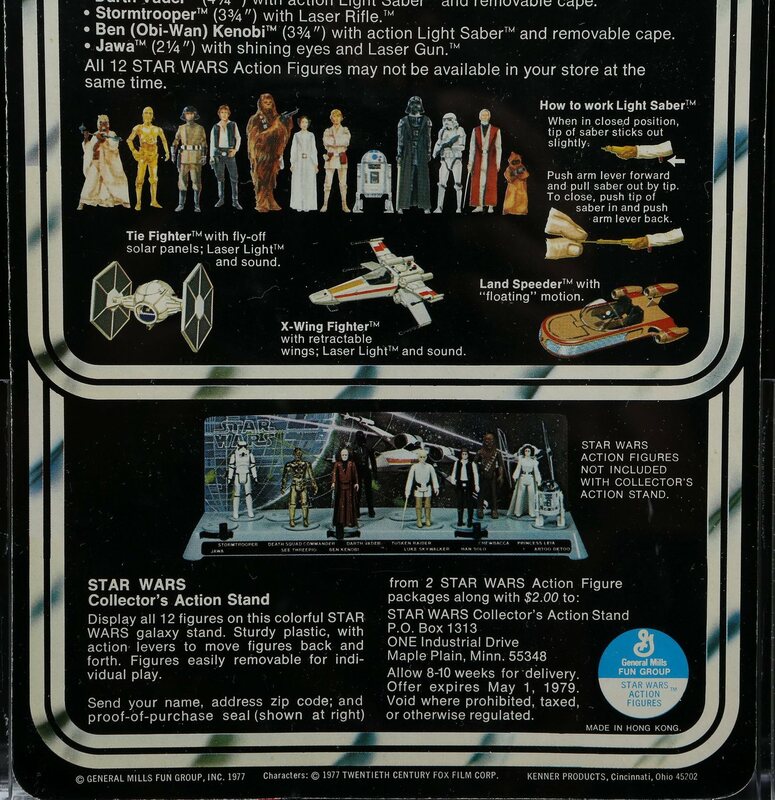 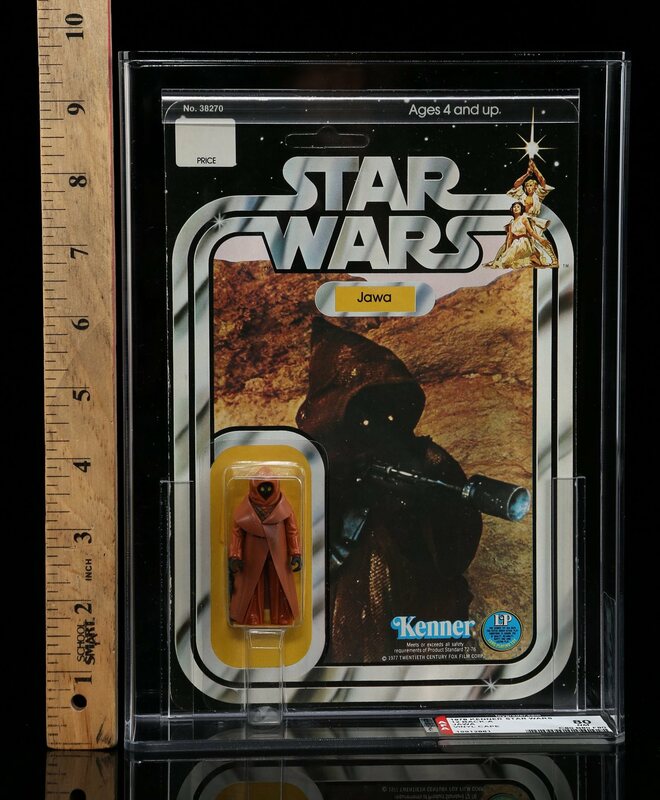 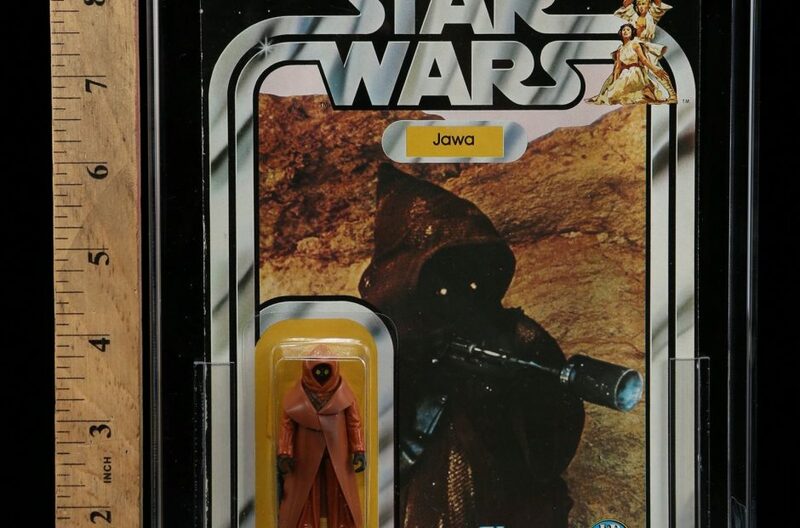 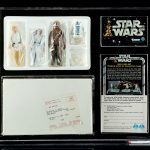 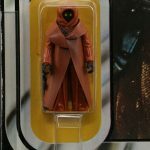 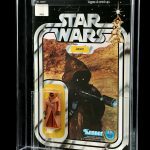 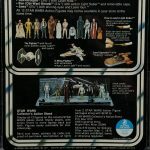 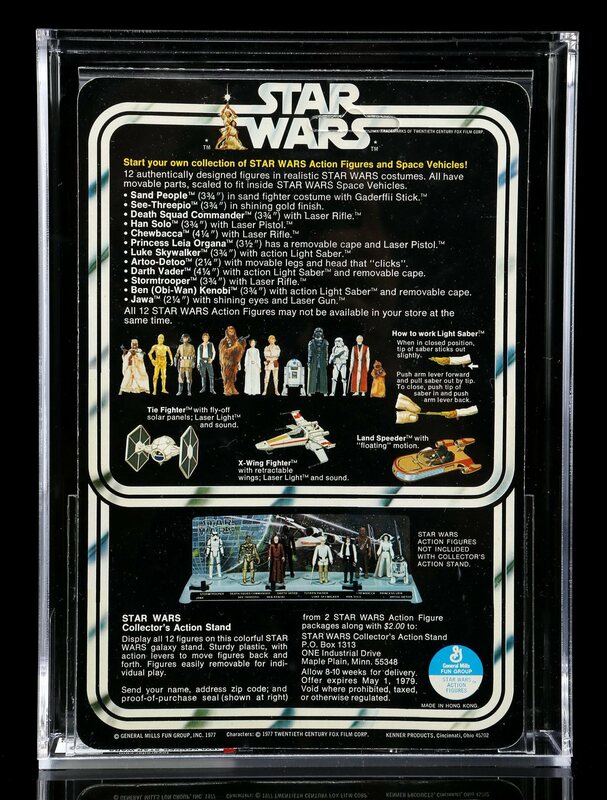 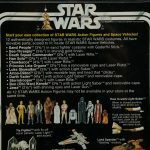 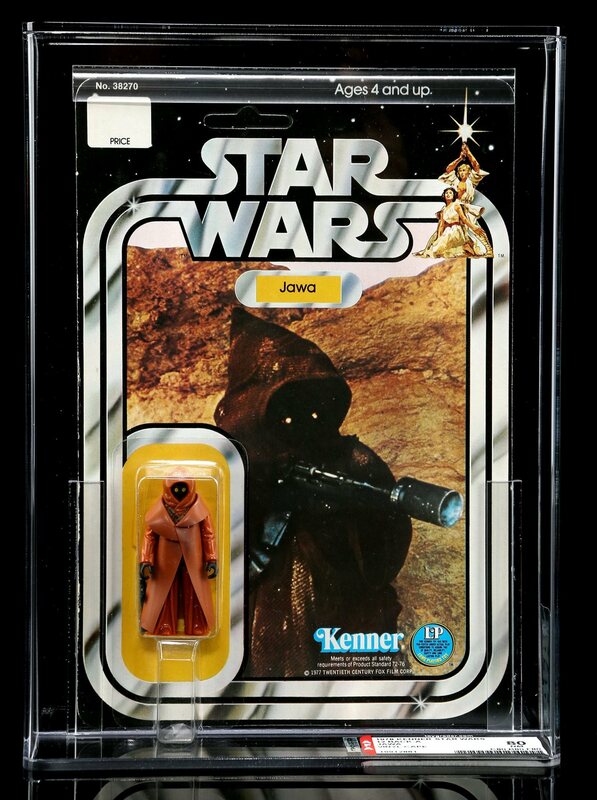 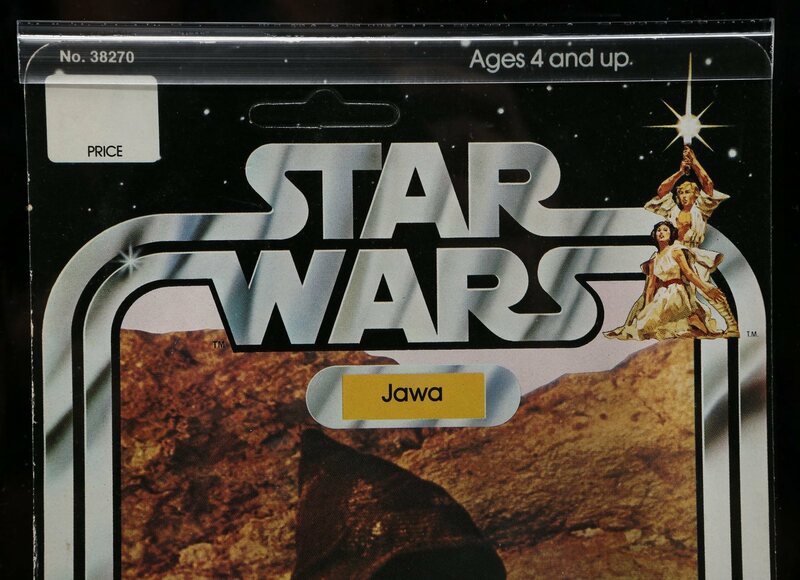 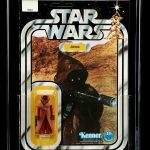 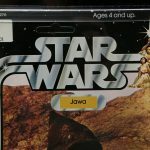 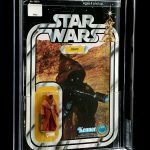 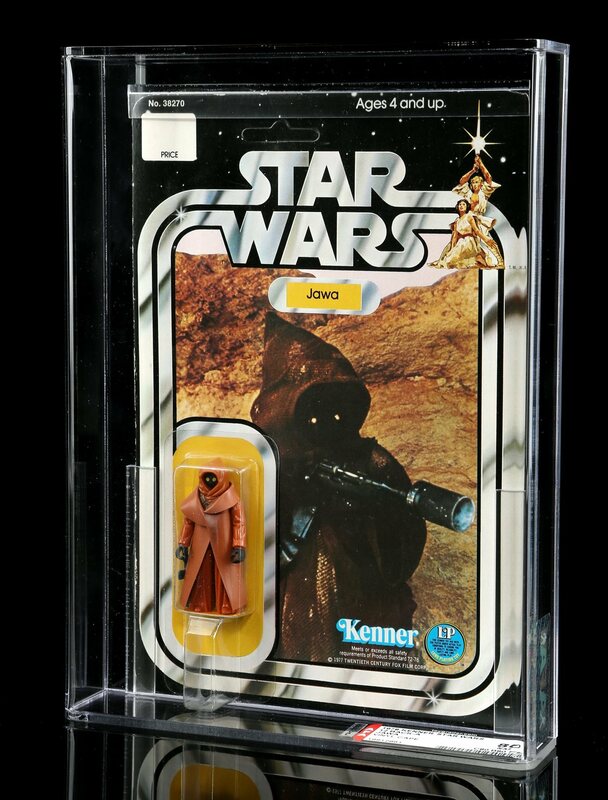 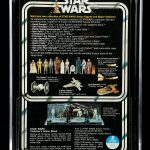 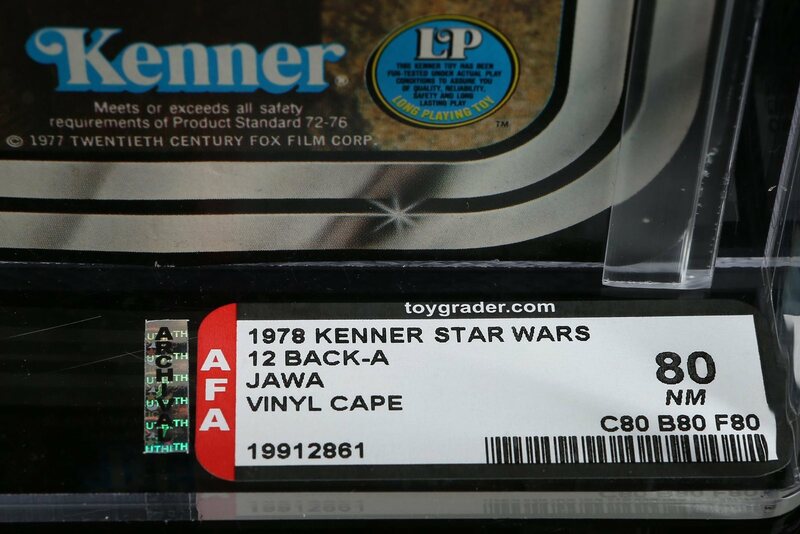 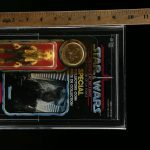 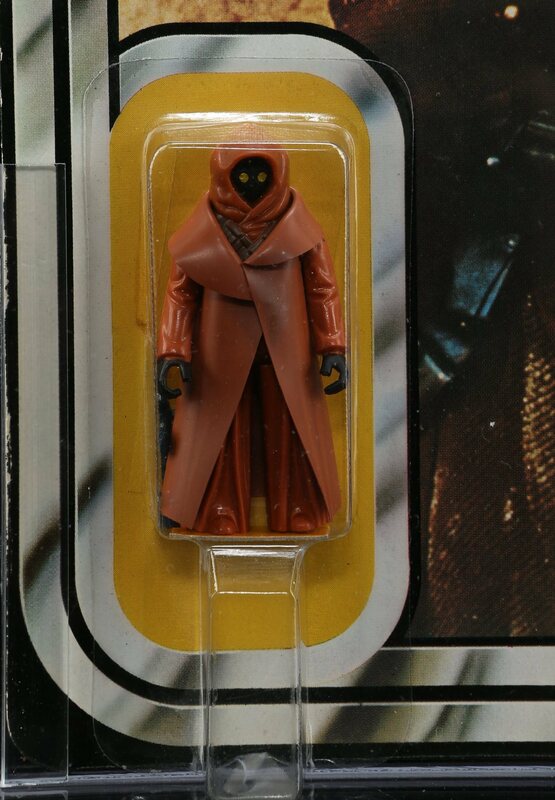 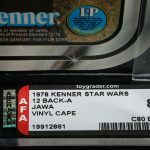 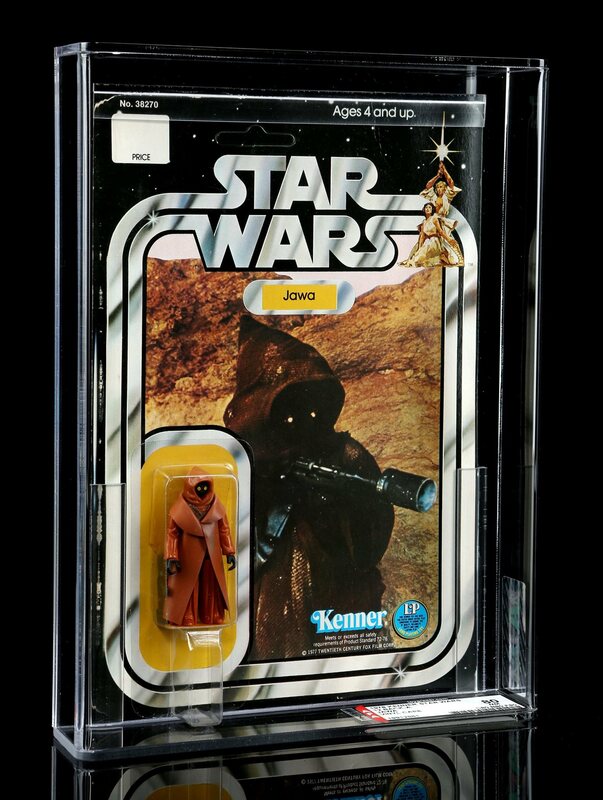 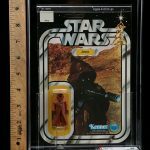 In the realm of rare toys, you’ll find the ultra-rare vinyl cape Jawa on 12-back Star Wars card from 1978. 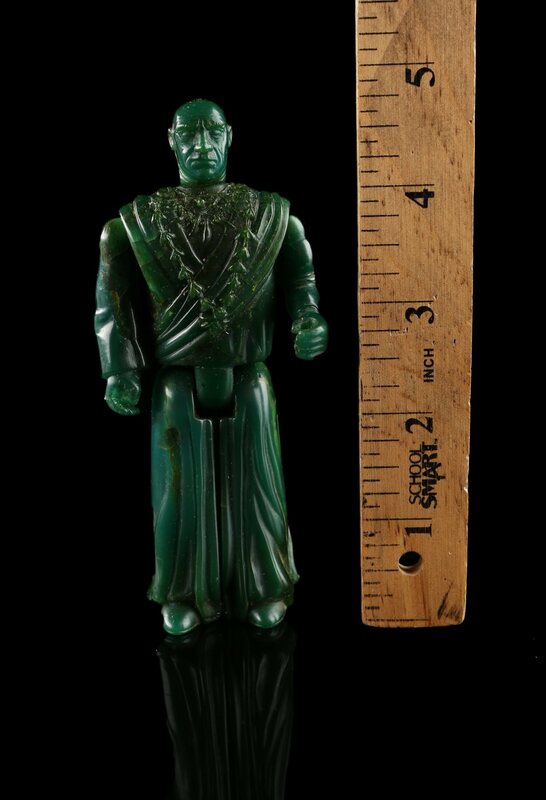 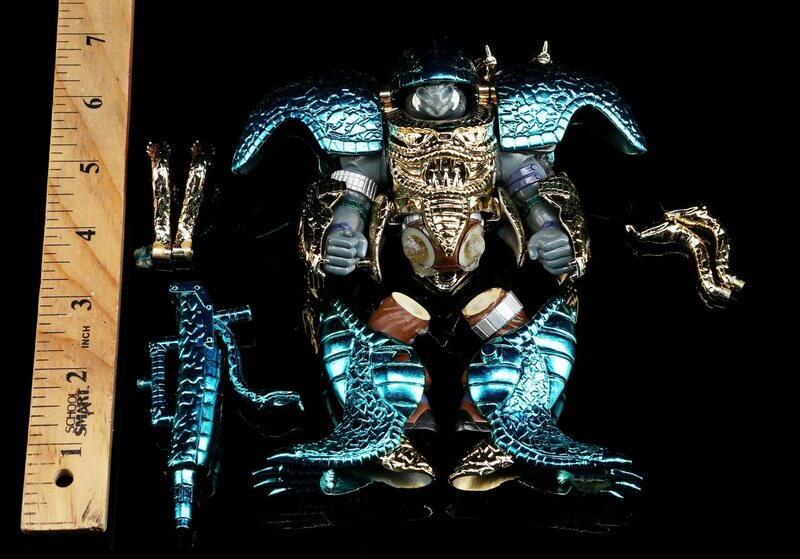 This figure is so rare that for several years it was believed they didn’t exist, but they were eventually authenticated. 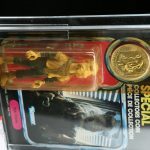 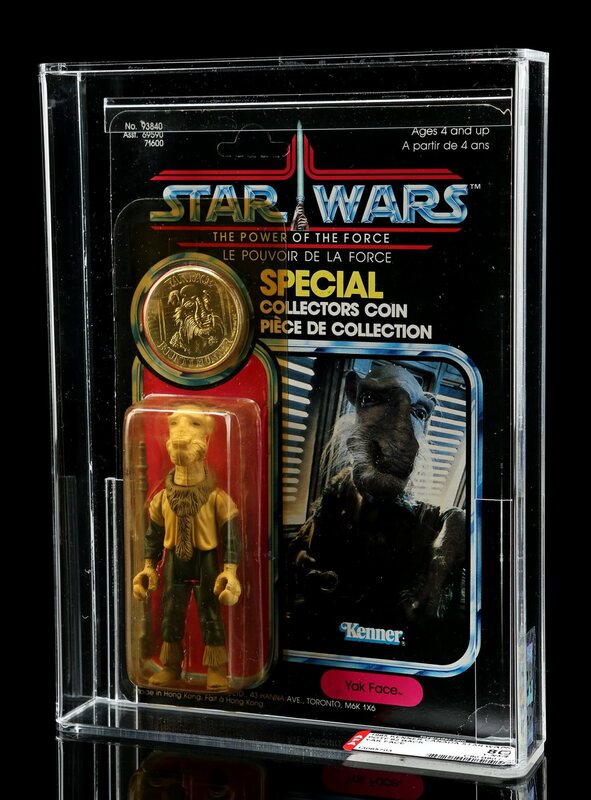 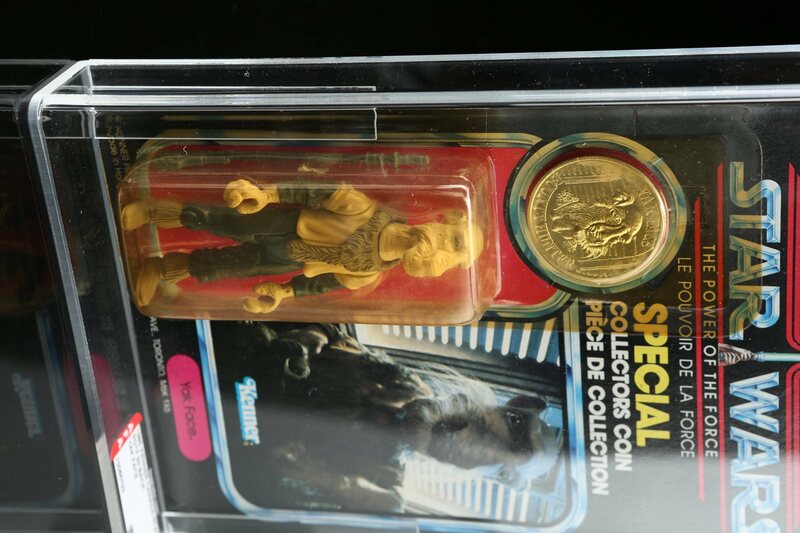 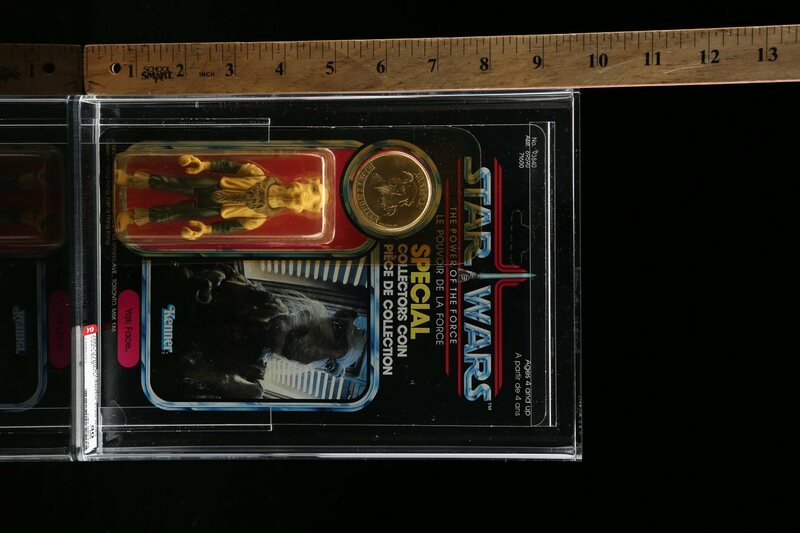 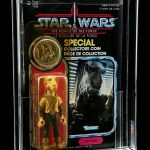 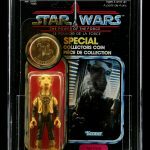 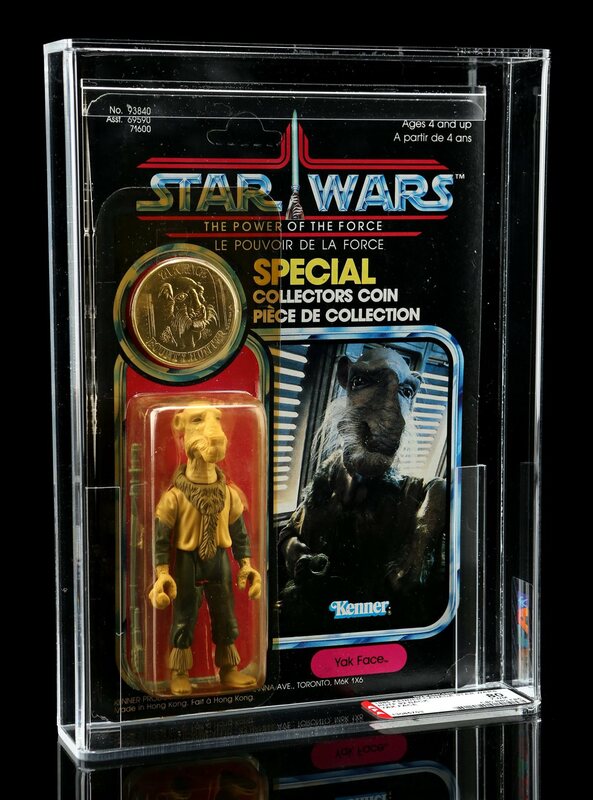 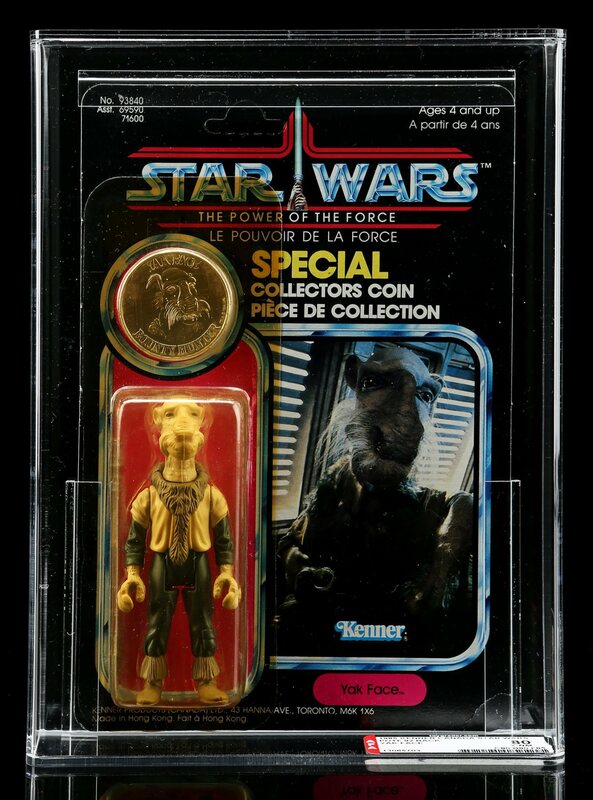 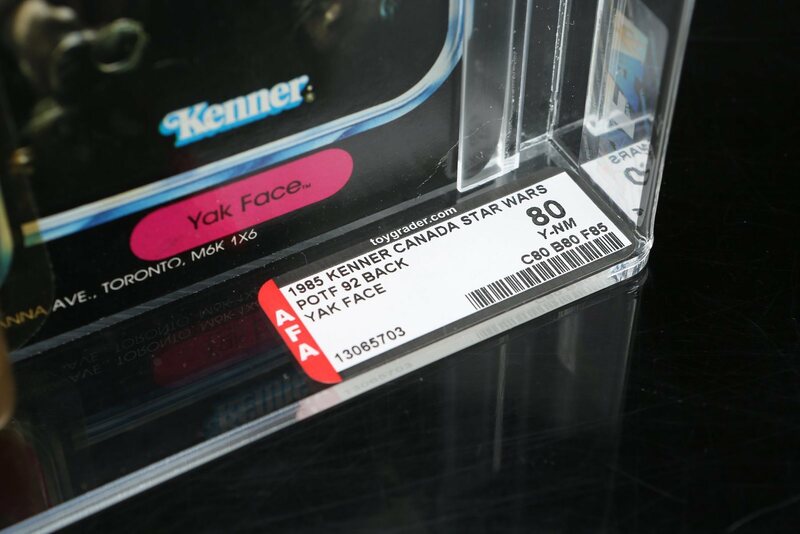 You then have a Yak Face on Power of the Force card with coin which was one of the very last figures released. 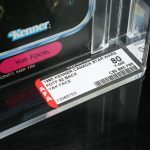 You can find them far easier on the tri-logo foreign cards without the coin, so this is a good find. 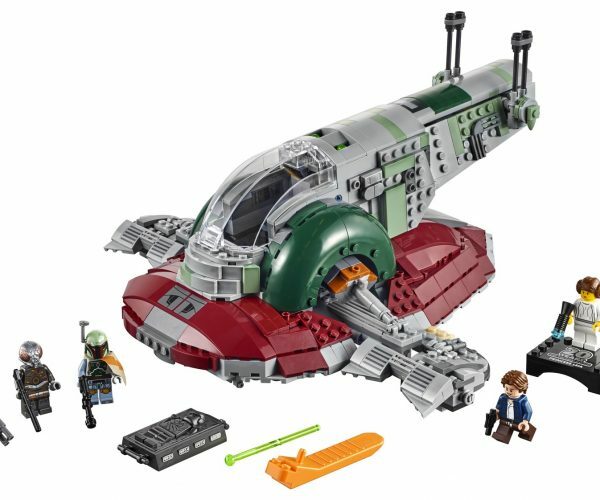 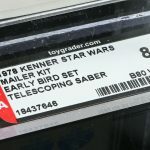 And finally, you have a complete, unopened, Early Bird kit. 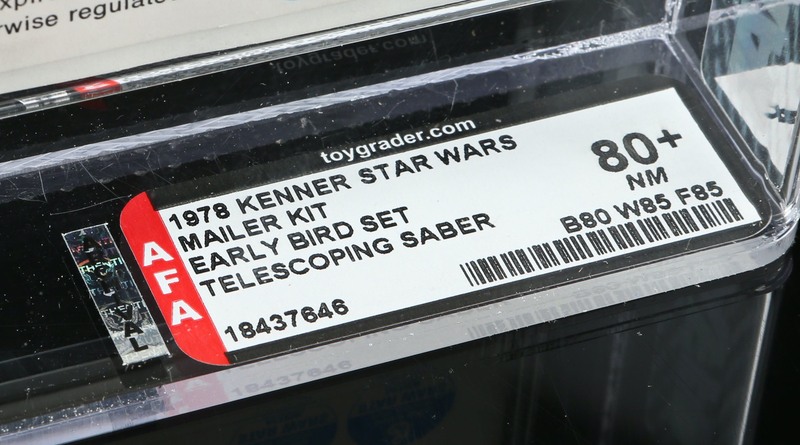 The history of the Early Bird kit is well documented, but finding one in this condition is pretty much unheard of. 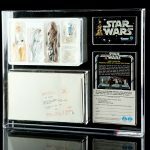 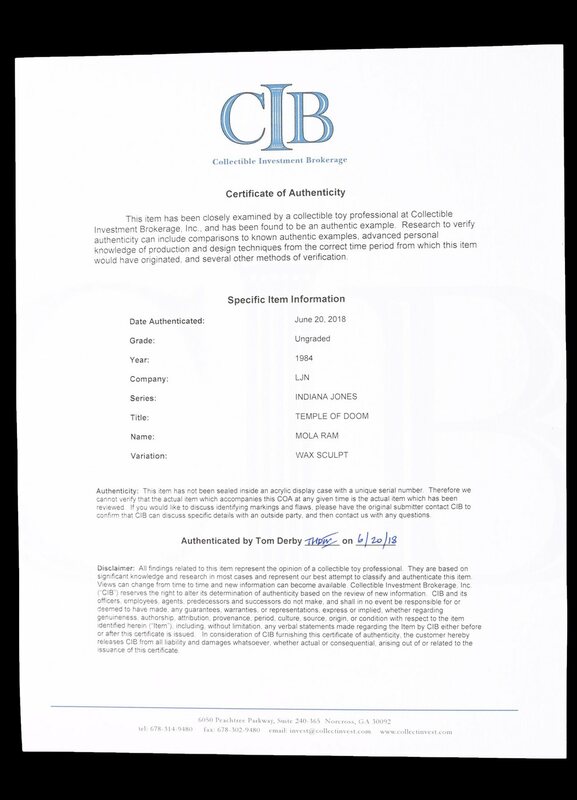 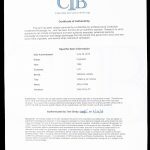 There are far more items up for bid, and you can browse all of the listings for yourself as well as place bids. 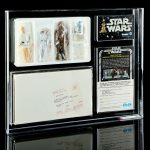 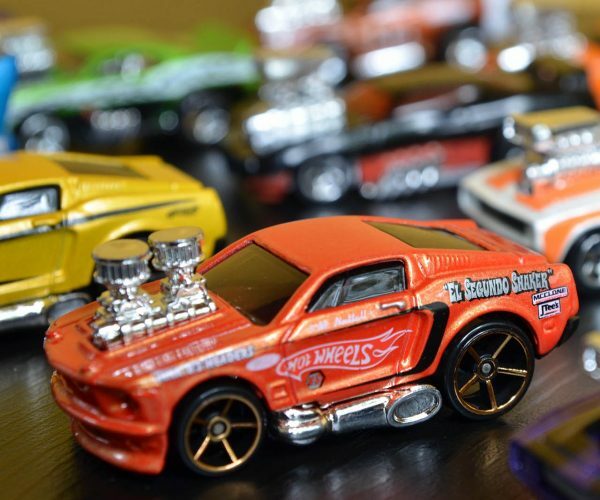 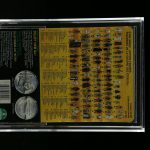 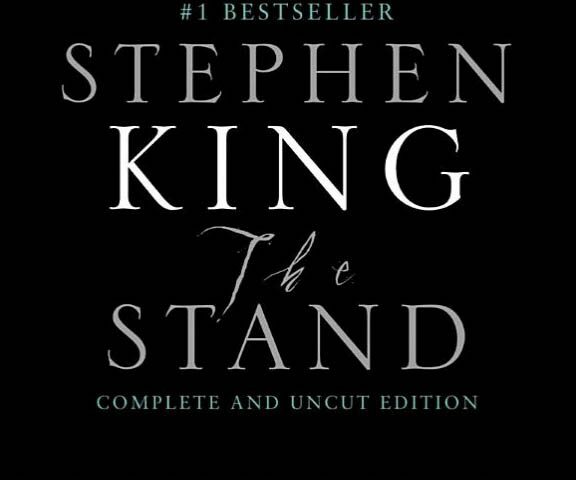 There are some truly amazing pieces here, and some of them this will be a once in a lifetime opportunity to grow your collection.